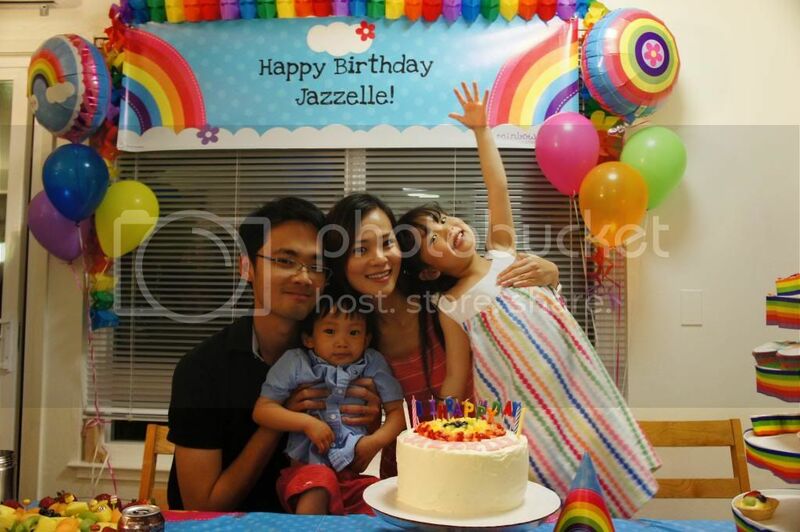 Mum's calling : Jazz turned 4! Our little princess turned 4! Which also marks my 4 years of Motherhood. The little ones are growing really fast, sometimes, I wished they would stay that mini for long. Yet, on the other hand, I wish they would gain more independence quickly. We threw a little party for Jazz and her neighborhood friends. She loves having friends over for play. 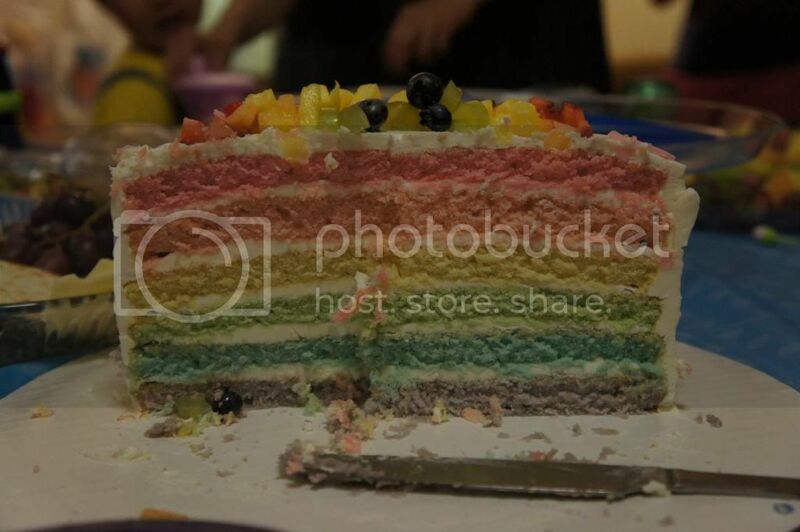 She asked for a rainbow party with a rainbow cake, that gave me a chance to attempt my first rainbow birthday cake. I'm not a good baker to begin with, but glad the cake turned out decent, except that I overlooked the sugar, it was too sweet. I went controlled on the colouring, which explained the pastel coloured layers. Here's where I adopted the recipe - Whisk Kid. As it was my first attempt, I didn't cut on its sugar. I would have preferred it less sweet on both the cake and buttercream. I love swiss meringue buttercream. Goes very well on cupcakes too. Now I know why birthday cakes don't come cheap, they're time consuming to make. Pay me, I'll do it. Haha. I love the convenience of online shopping here, clicked, clicked and clicked, party goodies and decorations were all settled. 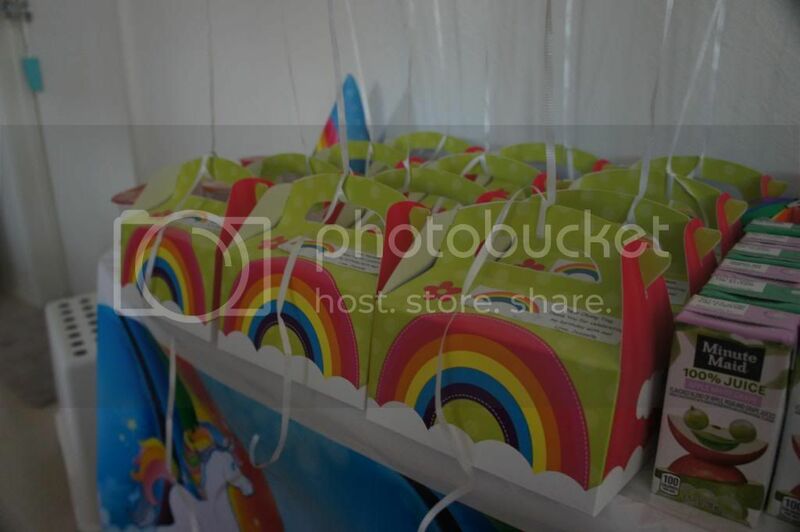 My 3 lovely webbies for party supplies are: Birthday Express, Oriental Trading and Party City. I do think some of the webbies would send to vpost, and then to a SG address, but only you don't mind the exuberant shipping fees. I did quite a bit of research on the theme and price comparisons before purchased. I attempted to avoid sugar in the goodie packs, but threw in some cookies and gummy in the end. Hopefully, it got the kids excited above the non-edibles. I've also included a pair of self made clips for the girls. My new found hobby. 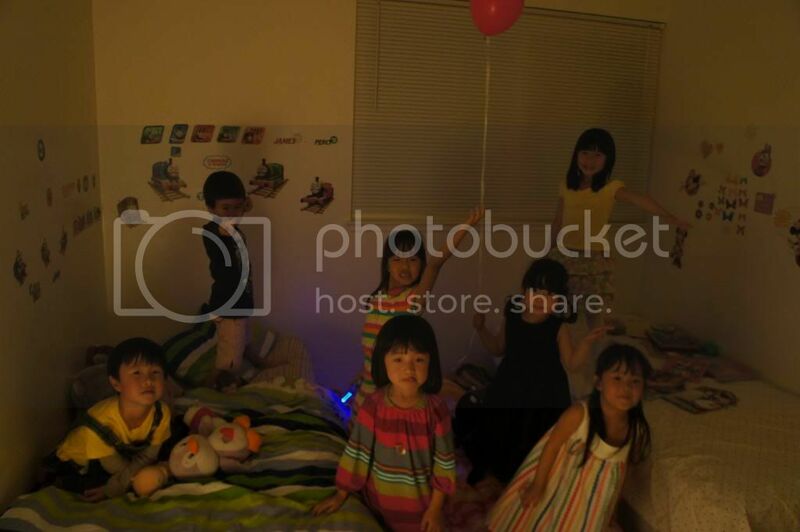 A simple little party seemed to get her mum really busy for days. I baked her cake the previous day so I could keep the next day free for other preparations, and perhaps give room for failed attempt too. 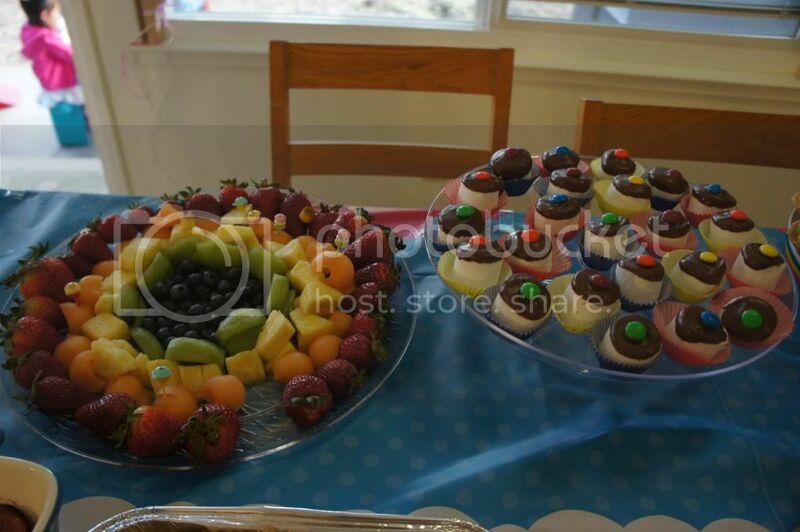 I cut up a variety of fruits to make a rainbow platter - Strawberries, Cantaloupe, Pineapple, Kiwi and Blueberries. Tried to cover as many rainbow colours as possible. That also made me realised how beautiful all fruits are when they come together! Fruits were the healthy. The unhealthy were chocolates, candies and chips. I melted some chocolate to coat on the marshmallows and topped it off with colourful m and m. It was seemingly an evening of special pass to the paradise of candies and chocolates for kids. 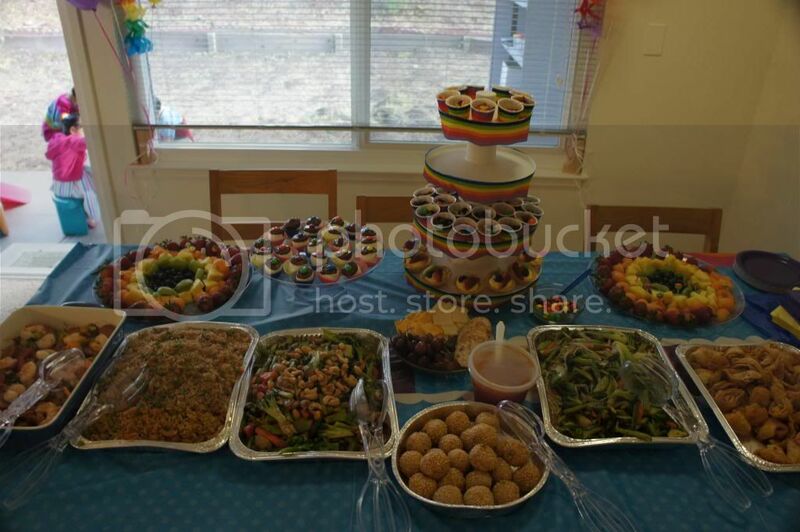 Aunty Bel made rainbow cuppies for the party, and they were really yummy! I made fruit tarts, prepared some mixed nuts with chocs, as well as colourful goldfish crackers, making up a 4 tier goodies. 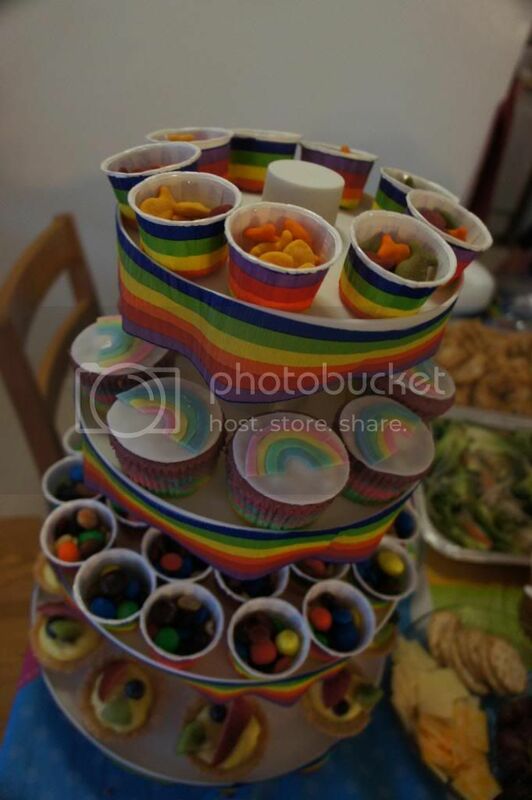 I lined the cups and cupcake stand with rainbow streamer. To buy more time for other preparations, I catered the food. Am not a great cook anyway, except that I cooked porridge for the little ones. 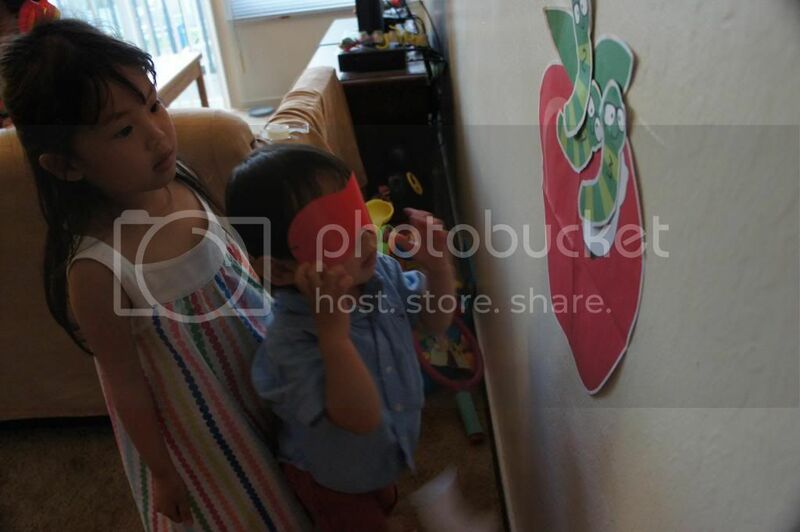 The kids played some games and did some beading, but nothing beats to having a 'slumber' party in the room, out of the parents' eyes. And of course, not forgetting her all time favourite bedtime buddies. 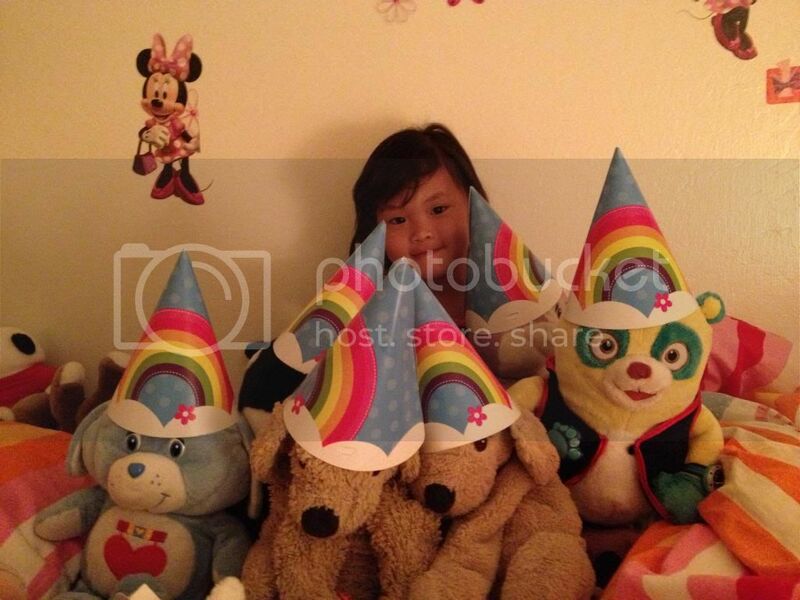 She gathered them for a celebration party too! 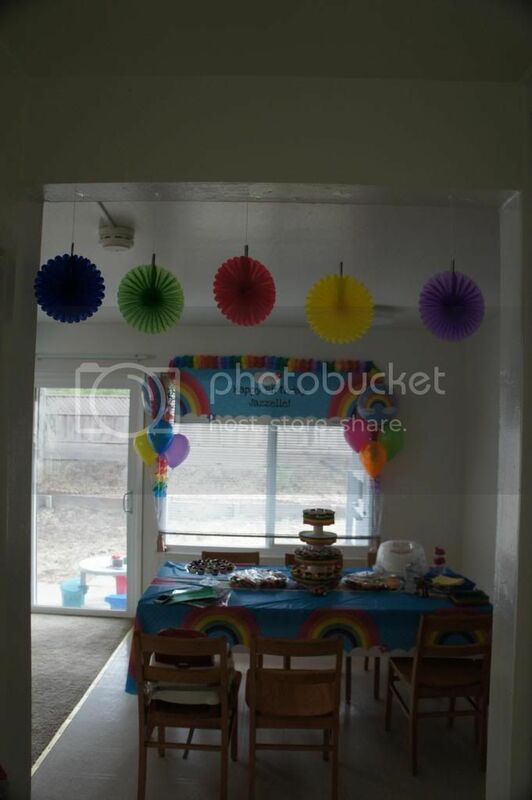 At the end of the day, as exhausted as I may be, I enjoyed planning and preparing her party. I guess she had a great time playing with her friends and blowing those candles. The parents had a great time of fellowship too. Thank you aunties and uncles for the lovely pressies. In the blink of an eye, she turned 4, time really flies after having kids. Happy Birthday my darling girl! We hope you had a blast. I pray that you'll outgrow those whiny moods and tantrums quickly. Be a kind, caring and sharing sister to your little brother always. Most importantly, stay healthy and cheerful all of the days! Daddy, Mummy and Jare loves you! thanks for dropping a note. 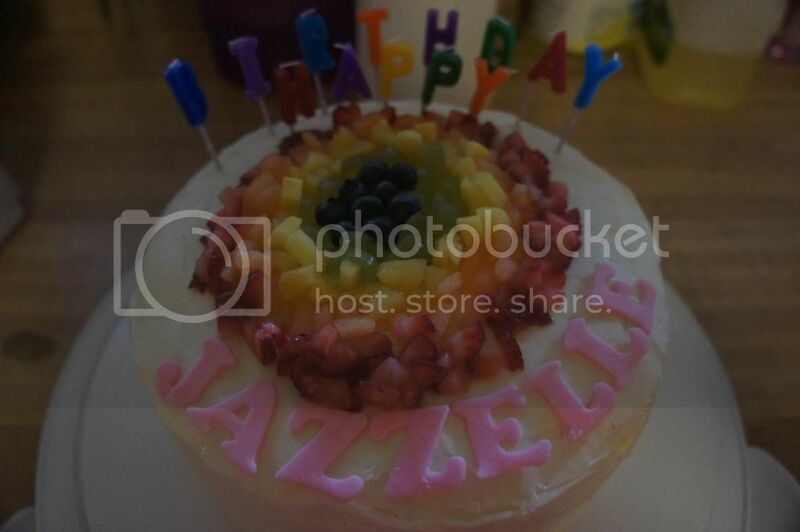 anyway, happy belated birthday to jazz too. hope you guys have great time there and see you soon!